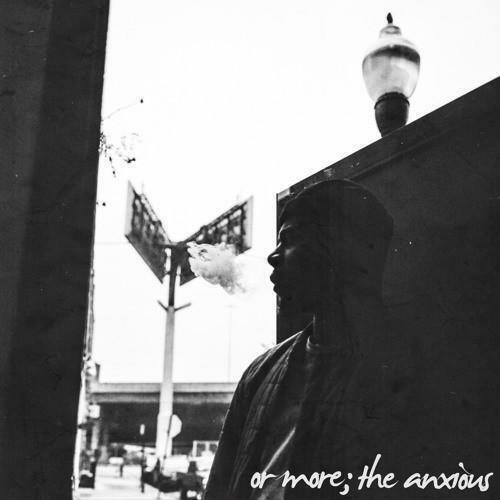 Home>New Mixtapes>Mick Jenkins Mixtapes> Mick Jenkins Releases New Mixtape "or more; the anxious"
Mick Jenkins may still be sitting on Another Mickstape, but whatever the case, fans should be pleased that the thoughtful MC has released a new project this morning, a compilation of songs which are stirring the inspiration for his next album (so, yet another reason to be pleased-- album is in the works, too). His last album, The Healing Component, dropped back in September 2016. This latest release, or more; the anxious, finds Mick connecting with producers THEMPeople, ENG Creation, Ahwelee, GreenSLLIME and Orgami Beats for the production; a mix of names both familiar and unfamiliar. As for features, those are provided by Saba on the project closer, which we've also highlighted on the homepage, "Energies," as well as Michael Anthony on "Gucci Bag." Check it out and read Mick's personal message about this release below. What do you think? "Or More is a project series involving musical ideas and concepts that are currently inspiring the album’s creation process. As creatives we live in a world of time constraints imposed by illusive industry standards, anxious demands of appreciators, or even our own self reflections. #OrMore is a smaller context of this larger pool of thoughts.. a world of exploration removed from the confines of a particular method. Its my way of sharing the beauty in Indecisiveness. Sometimes we have to make music to locate the true music within our being. The first hones in on the ANXIOUS." Nate Husser Puts Montreal On The Map With "Geto Rock For The Youth"
Stream Fabolous & Jadakiss' "Friday On Elm Street"
MIXTAPES Mick Jenkins Releases New Mixtape "or more; the anxious"